Sundried Tomatoes naturally air dried. 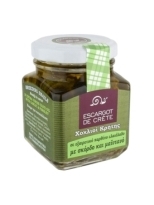 Preserved in Greek Olive Oil from Mytilene ensures their soft texture, strong flavour and distinct aroma. Use in salads, sandwiches, sauces or over grilled cheese or toast bread. 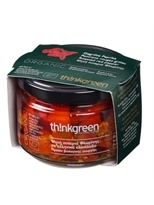 Sundried Tomatoes with Extra Virgin Olive Oil 280gr are homemade carefully picked tomatoes, naturally air dried and preserved in pure Greek virgin olive oil. 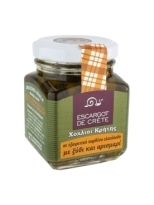 Limited production from small cottage industry of Lesvos. A 100% local product from the beginning to the end of production. The tomatoes grown, collected and was prepared in the traditional way. A unique product without any chemical treatment and without adding preservatives. 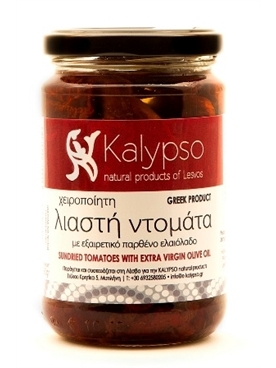 In Kalypso-Natural products of Lesvos we want to offer that best of this place. 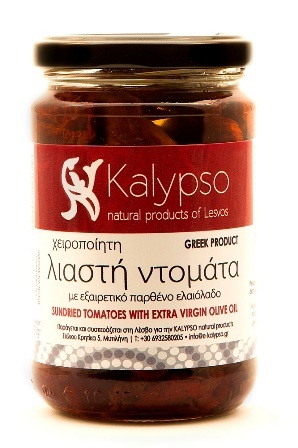 Lesvos is the second largest island of the Aegean and we who grew up and live on this island know the unique flavors, authentic tradition and high nutritional value of natural handcrafted products that continue to be produced in a traditional way until today. 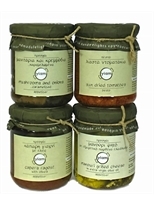 We selected a series of traditional Greek products from small producers, cottage industrys and women's cooperative of the island, for which we guarantee that will earn you both for their taste and for their quality. Our goal is to offer you an opportunity to explore and discover the treasures produced in this unique Aegean island offering you high-quality traditional local products.